Nokia has been trying its level best to sustain in the smartphone market for a long time but reports indicate that it hasn’t been doing that well. Recently, Microsoft announced that it is taking over a major part of Nokia’s operations, which created a huge buzz and we are still hoping that the Finnish smartphone maker will make a comeback. 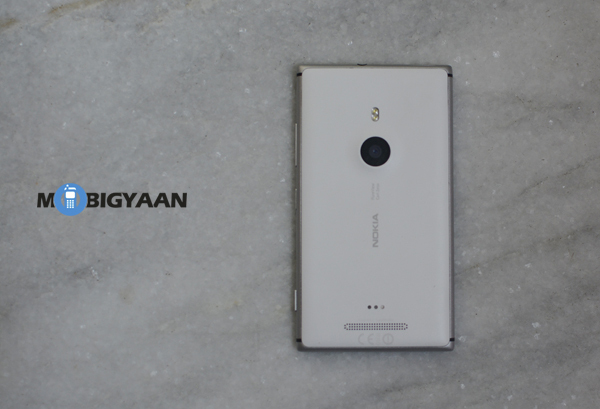 Always committed towards imaging, Nokia has been providing one of the best camera phones till date and the newly launched Lumia 925 is a fine example. 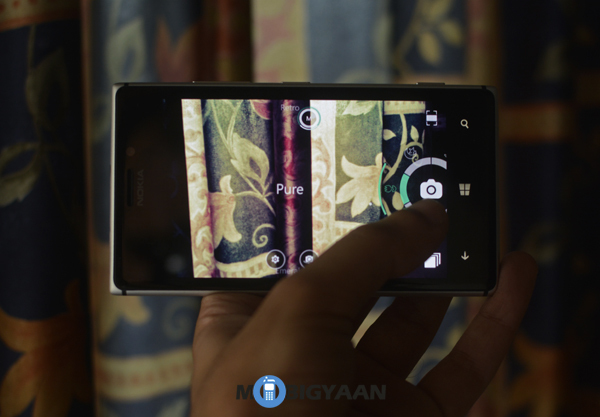 Running Windows Phone 8, the Lumia 925 has one of the best camera optics in its range. Well, let’s check out the device in detail. 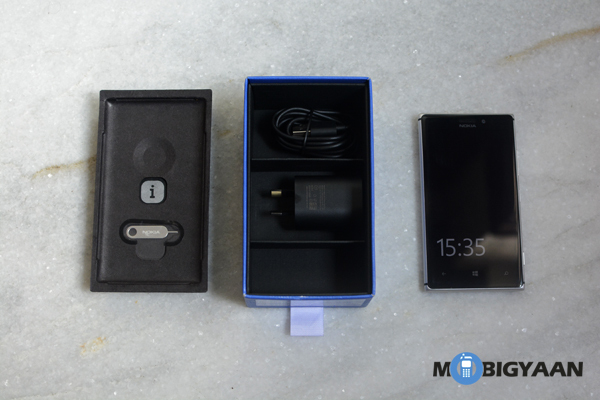 The smartphone comes in the usual Lumia box with a pair of in-ear headphones, a micro-USB data cable, a SIM ejecting tool and the usual wall charging adapter with a full sized USB port. Nokia has done well in the looks department. While the Lumia 920 was a bulky device to carry, the 925 is much sleeker and lighter than the 920. It is has an aluminium frame with a soft polycarbonate back which surprisingly doesn’t feel cheap. 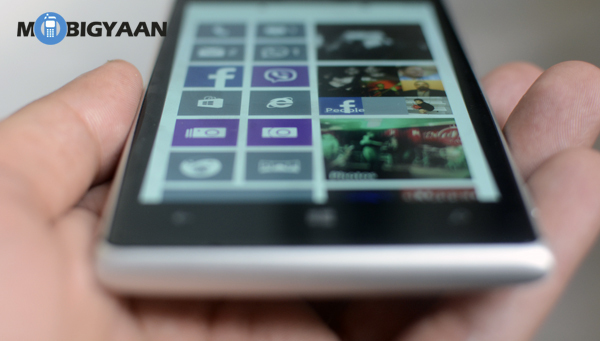 The large 4.5 inch display has a 1280×768 resolution and offers vivid colours and nice contrasts. The touch response is super smooth and offers (almost) no lag. So, the front has the 4.5 inch display which has Nokia’s patented ClearBlack technology and is tough thanks to Corning Gorilla Glass 2. There is a front 1.3 MP camera on top of the display which is capable of shooting 720p videos at 30fps. On the right you will find the usual volume control key, the lock/power key and also a camera shutter key. 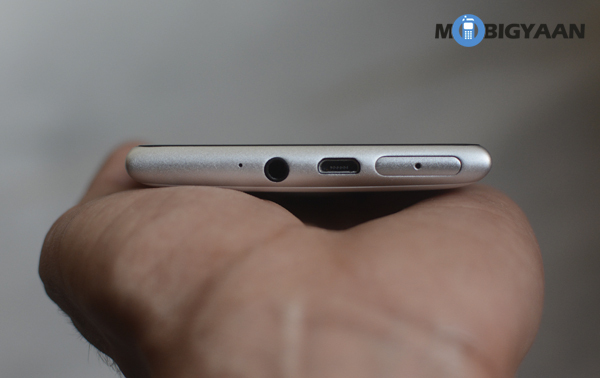 The top has a tray slot for your micro-SIM, micro-USB port and the 3.5 mm audio jack. The left and bottom are left empty. The back is completely sealed, so you cannot remove the battery. 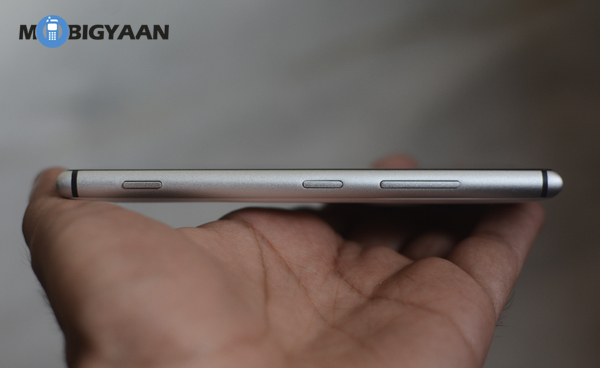 The poly-carbonate back has the 8.7 MP camera which gives a slight bump, a dual LED flash, charging connectors and the speaker. The device runs on a 1.5GHz dual-core processor with 1GB of RAM and comes with 16GB of internal storage. Again Nokia has not added a slot for expanding the memory which is a bummer, but you do get 7GB of SkyDrive cloud storage. The non-removable battery has a capacity of 2000mAh which gives a pretty good battery backup. We managed to get a full day of battery on average usage including the usage of internet heavy apps and a bit of photography. 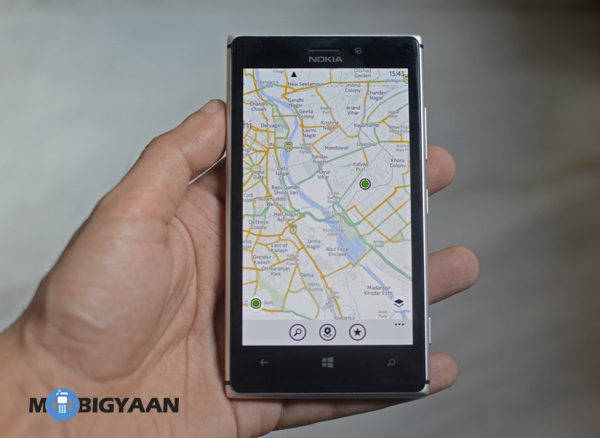 The Lumia 925 runs on Windows Phone 8 and has got the latest Amber update, which brings in some performance updates new features including the Glance Screen and the flip-silent feature. Apart from the usual Windows Phone software, Nokia has added a number of useful apps and features. There are number of camera apps including Nokia Pro Cam and Nokia Smart Cam which boosts and takes the level of smartphone photography to a whole new level. Though Microsoft (and Nokia) has been pushing in updates, the OS is still not at par with Android or iOS. Windows Phone 8 still lacks some push notification features and few knick-knacks which make the user experience a bit tad. Multitasking features seem to be working fine, but a proper integration of the apps seems to be missing. The HERE Drive and Maps navigation apps have somehow not impressed us due to two reasons. Firstly you need to download a large chunk of maps depending on your area and second, the maps are not as detailed. Google Maps seem to be a way better and faster option. The highlight of this smartphone is the camera. Since this is an upgrade to the Lumia 920, it provides much better photos especially in low light conditions. 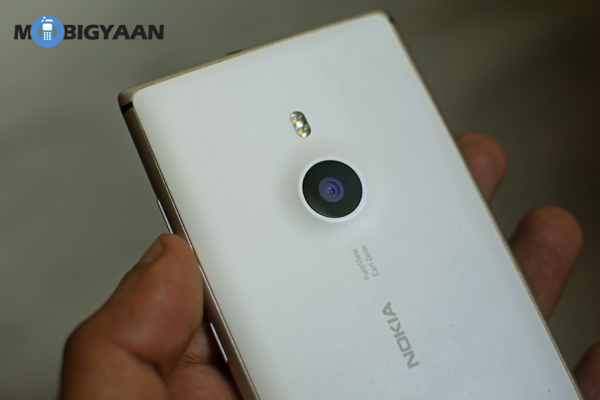 The 8.7 MP camera has a 1/3 inch sensor and Nokia’s Pure View technology with optical image stabilization. Nokia has even added an extra sixth lens element this time around to the camera module. With camera apps like Nokia Smart Cam and Nokia Pro Cam, providing you tools to capture the best moment, apps like Camera 360 add the fun of photography with a number of filters to play with. The best part about these apps is that they give the users some amount of exposure control and as well as manual focusing which is just brilliant. The qualities of pictures seem to be pretty good in day light and comparing it to other smartphones, it seems way better when shooting in low light conditions. Of course you cannot compare the pictures to a low budget point and shoot camera, but for a smartphone it seems to impress. 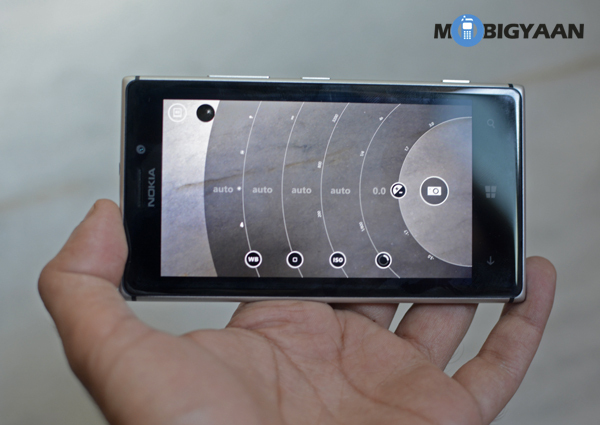 On the video side, the camera can shoot 1080p videos at 30fps which almost every smartphone can accomplish these days. For a WP lover, the Lumia 925 doesn’t disappoint. It is well made, offers some good and improved features, and exceptional camera quality. However it is not something which offers you a complete package. There are times where you wish you had an Android or an iOS device. The OS still needs to mature some more as there are certain things which are still outdated. 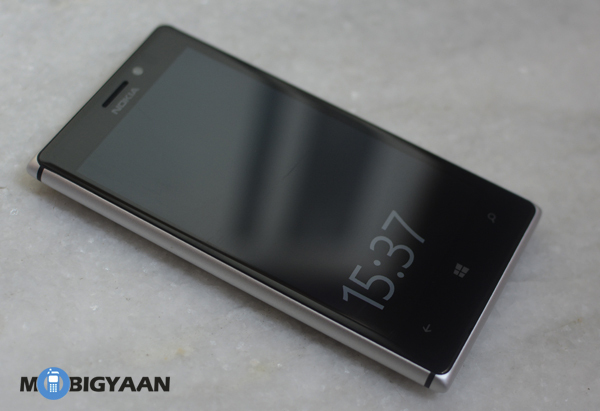 Being said that, we think the Lumia 925 is decent buy. Launched at almost Rs.35,000 the price does seem a bit steep, but in the coming months it should come down to what it deserves. Nokia charges a Lumia 925 within seconds – using lightning!